Best identity theft protection are these that provide all credit reports and many features in their plans to protect your identity. Identity theft protection sites that provide the most features are typically paid, however there are many reliable companies that offer credit report and credit monitoring for free. There are many sites of the type: free credit report. The catch is that they require you to add your credit card and then they start charging you for credit monitoring, which is not free, this looks scam. 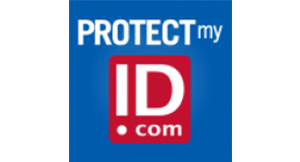 A free identity theft protection site means totally free! A site that won’t ask you to even give your credit card. The main reason for people to subscribe for credit monitoring is to prevent identity theft and to monitor their credit for updates. Below are the best identity theft protection companies for 2019. Some of them are totally free and provide reliable service. We also give you the big names in paid credit monitoring, because some of them provide much more features for more advanced people. No identity theft protection can prevent identity theft in full! If someone tell you this, that is scam! The most secured ways to prevent identity theft are: credit freeze, fraud alert, and be careful with who you share your personal information! And get credit monitoring, the fact that credit monitoring can’t prevent identity theft in full doesn’t mean that you don’t have to get it! And as of a few years ago, they’ve also become a free identity theft protection service provider. The features are not as comprehensive as what you will get with a paid plan, but you can’t beat the price! LifeLock Standard ($9.99/mo). $25,000 Reimbursement for Stolen Funds. SSN and Credit Alerts. Lifelock Advantage ($19.99/mo). $100,000 Reimbursement for Stolen Funds. SSN and Credit Alerts. Bank & Credit Card Activity Alerts. Alerts on Crimes in Your Name. Lifelock Ultimate Plus ($29.99/mo). $1 Million Reimbursement for Stolen Funds. SSN and Credit Alerts. Bank & Credit Card Activity Alerts. Alerts on Crimes in Your Name. Annual 3 Bureau Credit Reports + Credit Scores. 401(k) & Investment Activity Alerts. It’s a really close one to call, though. LifeLock offers a lot and we’ve gone ahead and reviewed every single one of their plans: LifeLock Standard, LifeLock Advantage, LifeLock Ultimate Plus, and LifeLock Junior. 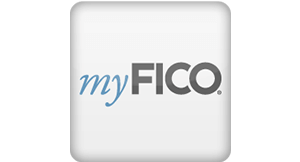 Myfico is a service owned by FICO, the company that developed the credit score algorithm. They offer primarily services in credit monitoring and sell credit reports that can be obtained at any time. All 3 Credit Scores and Variations Used by Lenders: You can check your credit standing and be warned of any fraud that happens. You’ll even see what scores different types of lenders will be using. Identity Scan: This is a comprehensive scan of the Internet, looking for anywhere your identity might be used. SSN Monitoring: If someone has been using your SSN to get a new house, use a new alias, or take out a loan, you’ll see it when it happens. The reason it’s ranked so low on our list is because of the price. 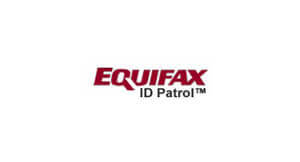 Although it has more features that Equifax’s ID patrol, their highest grade product costs $30/month! Compared to other $30/month products, it’s not the best. Wallet Hub is the only site that offers credit report daily updates, credit score, credit monitoring and identity theft protection. And it is totally free. Register now and get it. They provide Vantage Score from Trans Union. How do they make money, this is your main concern? No reason for this. WalletHub uses similar business model like Credit Karma and other similar sites offering free credit reports. They make money by showing financial product ads to you. Wallet Hub pays money to get your free credit report, but when you sign up for one of the ads that they send you, they get paid. And of course, you are not required to sign up with any of them. But based on your financial situation, which WalletHub knows, they send you really tailored and great offers. 100% Free Credit Report, Credit Score, Credit Monitoring, Identity Theft Protection. They pull credit report from TransUnion, according to Vantage Score model. It’s not like FICO Score, but still it will work for some of you, or at least give you an idea of your credit report. Daily Updated! They are the only company that updates their credit report daily. It’s great for people who are in the process of improving their credit score, or people with the high risk of identity theft. Customized Credit Improvinips. Based on your financial situation, WalletHub sends you great tips, tailored specifically to your situation. TransUnion is the third credit bureau on this list that offers identity theft protection. Similar to Identity Patrol, TransUnion offers an easy credit freeze in case of a fear of fraud. It costs $17.95 a month, a dollar more than Equifax’s service. Mobile App Control: Although having ‘on-the-go’ functionality isn’t always necessary, being able to monitor your credit even when away from home is a big plus. It also gives you the option to freeze and unfreeze your credit. 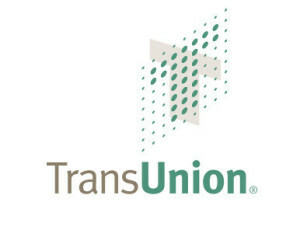 Credit and Debt Analysis: TransUnion will look at your credit portfolio and provide you with an in-depth analysis. This is especially good for detecting small signs of identity theft. Instant Alerts: You will get an alert if a lender has requested your credit report. If you did not apply for anything, then this may signal identity fraud. They offer a $1 7-day trial, which you can check out here. Both companies are credit bureaus, so their main focus is not preventing identity theft. For this reason, they are low on the list. It’s a tough one to call, so we’ve included links to all of the companies in our review. If you have any opinions, feel free to comment and talk about your experiences with these companies! 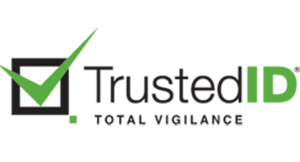 TrustedID is another subject of one of our best identity theft companies reviews, and we’ve already discussed its main benefit: its family protection. It offers nearly everything that the previous companies do and more, but your family is included in the protection for only $20/month. That’s already a similar price to the other identity theft protection companies. Identity Restoration Support: Privacy Guard will help restore your good name in case of fraud. Fraud Alerts: You will be alerted to any fraud that is happening, through e-mail or SMS message. 3 Bureau Credit Score: You will get access to your credit score from any of the 3 bureaus. Lost Wages: If you have to take time off work to restore your identity, they will cover up to $1,500/week in lost wages! However, this rarely happens and is unlikely to happen to you, so you’re unlikely to be able to take advantage of this. It lacks a coverage plan, but it does offer some decent support and credit monitoring. Best of all, they cover any pay lost. TransUnion and Equifax lack the support that PG does… but as our review said, PG’s customer support leaves a little to be desired. They have a free trial, but they’ve been placed at #5 due to the lack of flexibility. We’ve done a ProtectMyID review in the past. However, this identity theft protection company offers a pretty strong value which places it at #5. Child identity protection. This is the biggest value here, as most companies will charge extra for another member of the family. However, for no added cost, ProtectMyID will help protect your child’s identity from being stolen and used. Lost Wallet Protection: In case you lose your wallet with ID cards, medical cards, or credit cards, they will help you cancel you cards and place fraud alerts on your accounts. They also offer $1 million in coverage, fraud alerts, and address change notifications… as well as a seniors (55+) discount. See what they offer! Brought to you by Equifax, a credit reporting bureau that provides credit scores, Identity Patrol is a solid choice overall. Unlimited access to your Equifax credit report. This is big, because it allows you to see real-time changes in your score that will allow you to detect fraud happening as soon as it does. Easy credit freeze and unfreeze. If you fear fraud, it’s easy to request a credit freeze: simply freeze it on the web. And if you want it unfrozen, that’s just as easy. Automatic fraud alerts. If there is any suspicious activity on your credit profile, Equifax Identity Patrol will alert you instantly. 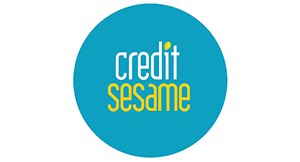 This is a good service to choose from if you have an active credit profile, because freezing and unfreezing your credit becomes super easy. Listing the 10 best identity theft protection companies is no easy task. While a few are obviously great, many companies have at least a few bad things to say about them. We had to assess the identity protection plans based on their core features and the perceived value of them. For an identity theft company to provide a good service, you need to have at least certain base features. Some of these include identity monitoring, alerts, credit card monitoring, and lost wallet protection. Not all of the companies on the top 10 list provided these, but those that had more to offer (without overcharging) got ranked higher. If you have a personal experience with any of these companies below, please comment and share it with the rest of our readers! If you’ve been meaning to safeguard your identity, but you’re still a little lost … then these frequently asked questions will come in very handy. Again, you’re welcome to comment below if there’s anything that has yet to be answered here! Is free identity theft protection really worth it? If you aren’t paying for the protection, you will not have the same level of safety. The free protection plan will only safeguard you from certain identity theft risks. Then you are left with many ‘points of failure’ exposed. It’s best to invest in a premium identity protection plan as it will secure as many weak spots as possible. Yet, even then there are no guarantees — which is why you want to be covered with a ‘service guarantee’ or ‘identity theft insurance’ as well. How do these paid services prevent identity theft? There is no way to guarantee that your identity will stay safe, just because you use any of these premium protection services. 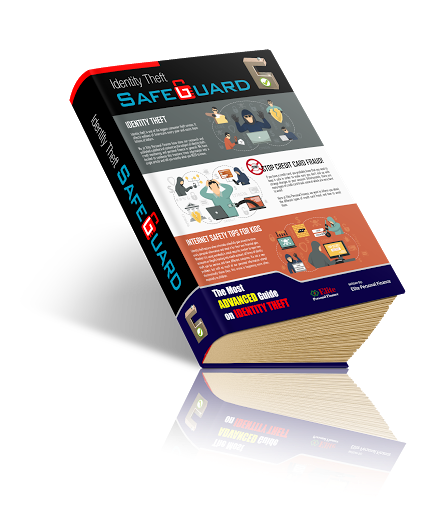 They can only enhance the amount of safeguards you have that work against common identity theft tactics. From there, you can fall back on the service guarantee, insurance, or stolen funds replacement policy to remove liabilities. This is when a paid service comes in handy as it eliminates the need to spend countless hours trying to recover your identity. What are the most common identity protection features? How much does identity monitoring cost? An identity monitoring plan typically costs between $7.50 and $15 per month. There are some advanced plans that price around $20 monthly instead. If you’re looking to get coverage that includes credit monitoring features, then you’re looking at the $20 to $30 per month price range. Adding a minor could cost anywhere from nothing to $5.99 a month from most providers. Should you buy a plan that has credit monitoring? Identity theft protection plans that include credit monitoring are a great investment. They give you the added security of identity monitoring, which watches for any signs of identity theft. If something is detected, your credit accounts will be protected more closely. Therefore, the two types of monitoring work together to ensure your identity (and financial accounts) stay safe. How to Prevent Identity Theft 2019 ? 100 Advanced Tips !